I just love this little squirrel holding a daisy. It definitely says Spring is here! 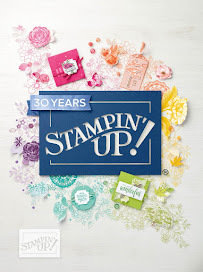 A challenge I have placed on myself is to use more DSP (Designer Series Paper) on my projects. I have a problem with getting the DSP I really love them I never use it on anything. Now please don't think I don't want to cut the beautiful paper, I have no problem with cutting it up...I just forget to use it. 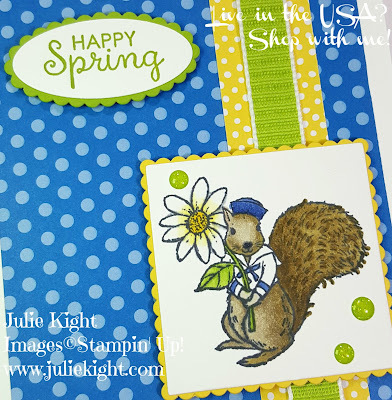 I knew I wanted this card to be bright for the Spring theme, so I wanted to use bright colors like I did. 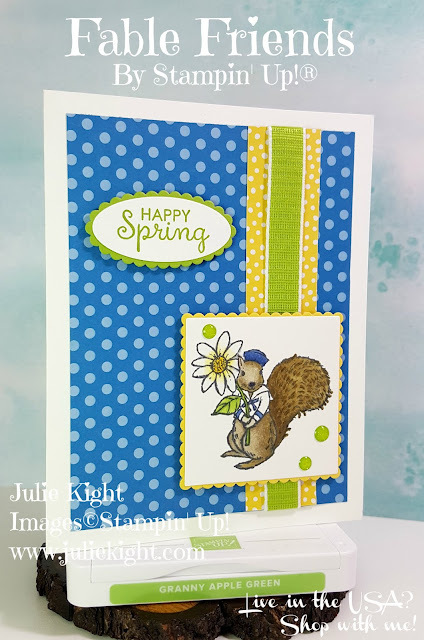 I colored the squirrel with the Stampin' Blends, which I absolutely love and HIGHLY recommend, and tried to keep certain areas lighter and darker then others. With the daisy I just colored the center with the Dark Daffodil Delight Blend and then I feathered the Light Daffodil Delight Blend onto the petals. You can also use the Color Lifter Blend for this technique too. 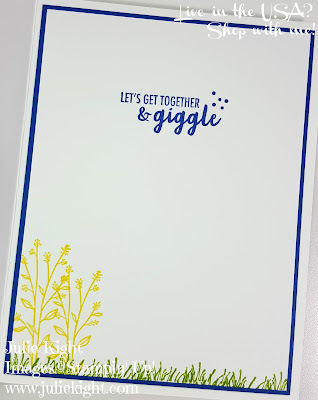 Now for the inside of my card I used the little grass stamp on the bottom, overlapping the stamp several times while stamping. 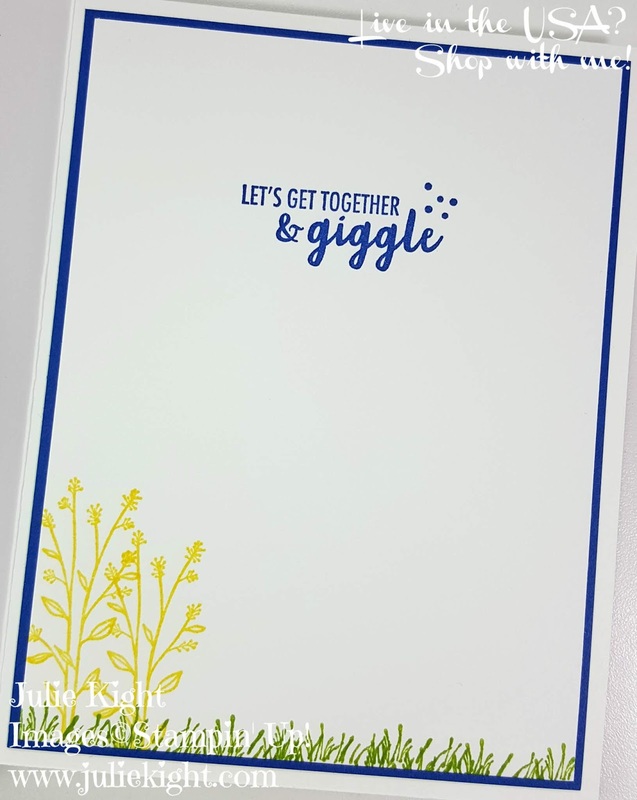 I also wanted some kind of flower type on here, so I used the flower stamp from Healing Hugs. 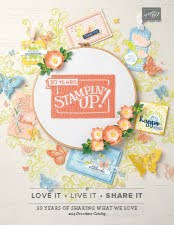 Never be afraid to use more then one stamp set on a card, especially when the stamp set you're working with doesn't quite have something you want to add. Thank you so much for coming to see my card today. I hope you will return to see what I do next. I post new projects every Monday, Tuesday, Thursday, & Friday. I may have something extra here and there. Have a great day!! !